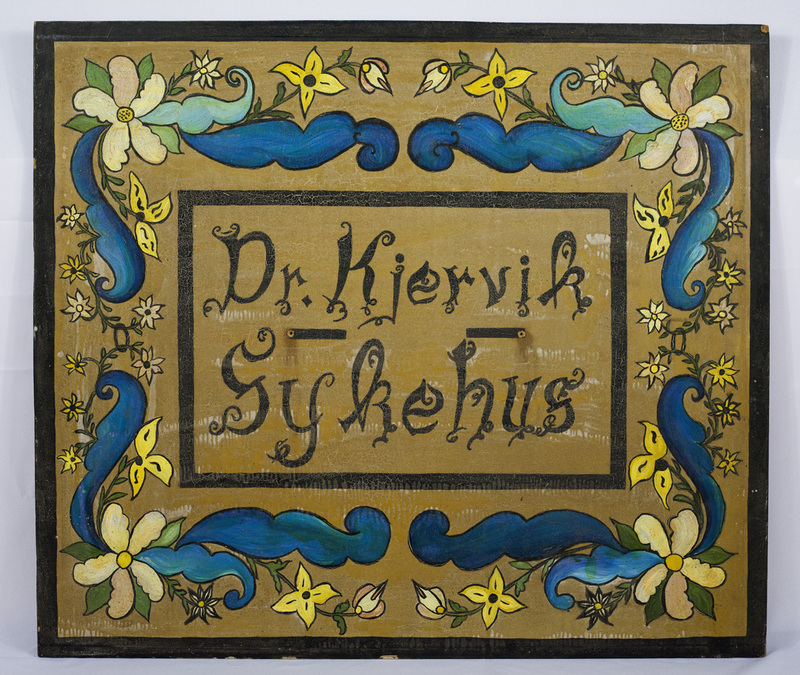 This rosemaled sign was part of early efforts to promote Norwegian heritage in Mount Horeb. The unusually painted Gothic lettering on the sign reads, “Dr. Kjervik Sykehus.” Dr. Abner Kjervik, whose father emigrated from Norway in 1900, had offices in the Buckner Hospital building on East Main Street through the early 1970s. The Norwegian word “Sykehus” translates to “sick-house,” or hospital—an inside joke for those who knew the Norwegian language.